Keystone named Walker Agency Inc. to its growing list of partners in the state of Wisconsin. 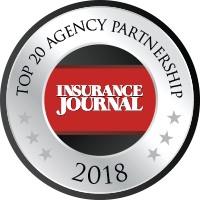 The agency has locations in Berlin, Montello and Westfield. Elizabeth Schenk, VP of Sales & Geographic Expansion (center right) with agency principals Greg Walker (right) and Randy Polk (left). “First impressions are lasting impressions, and I want to make a lasting impression with Keystone,” said Greg Walker, agency president. 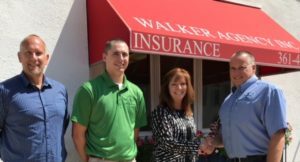 About Walker Agency Inc. — Walker Agency was established in 1939 by President Greg Walker’s grandfather. Greg joined the agency in 1990, becoming owner in 2008. He serves the community in the local booster club and as a youth basketball coach. The agency employs eight professionals and serves as an expert in the agribusiness niche. For more, visit www.walkeragencyinc.com. Keystone is for people who believe that powerful partnerships generate prosperity. We band together to safeguard what matters most and provide peace of mind in the neighborhoods and communities where we live and work. With Keystone, independence works better together. In 2007, Keystone adopted autism as our corporate cause. Since that time, Keystone corporate staff and our partners have raised nearly $1 million toward autism education and advocacy through numerous charity events! What small contributions has your agency staff made that transformed someones life? Check out this inspiring story about a contractor in Knoxville, Tennessee who crafted a swing fora 23 year old man who has non-verbal autism! Did you know that April is also National Car Care Month? It's time to get your car ready for spring driving and summer road trips! Check out this free Car Care Guide!